Rough sleeping in England has reached record levels – with figures published on Thursday showing an annual rise of 15%, representing a 169% increase since 2010. 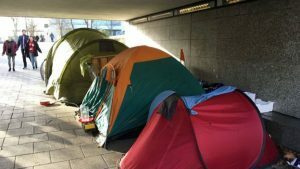 It’s no longer confined to London and the big cities – three quarters are outside the capital – and rough sleepers have been appearing in tents and shop doorways in towns where it seems unexpected and out of place. 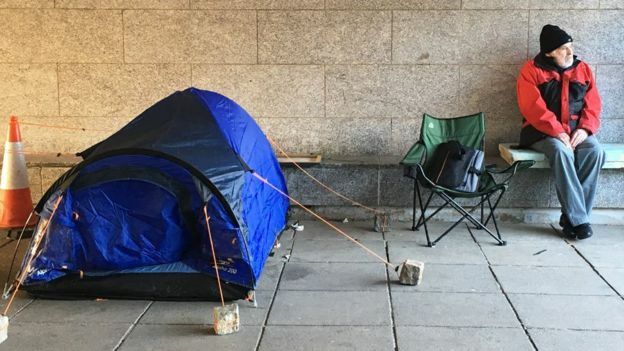 Tony, a 72-year-old former railway worker, is living in a small blue tent in a concrete underpass………..